Manchester City held their nerve but for around eight minutes anxiety kicked in. Big time. You would have forgiven those with City connections for waking up this morning with a tinge of apprehension. 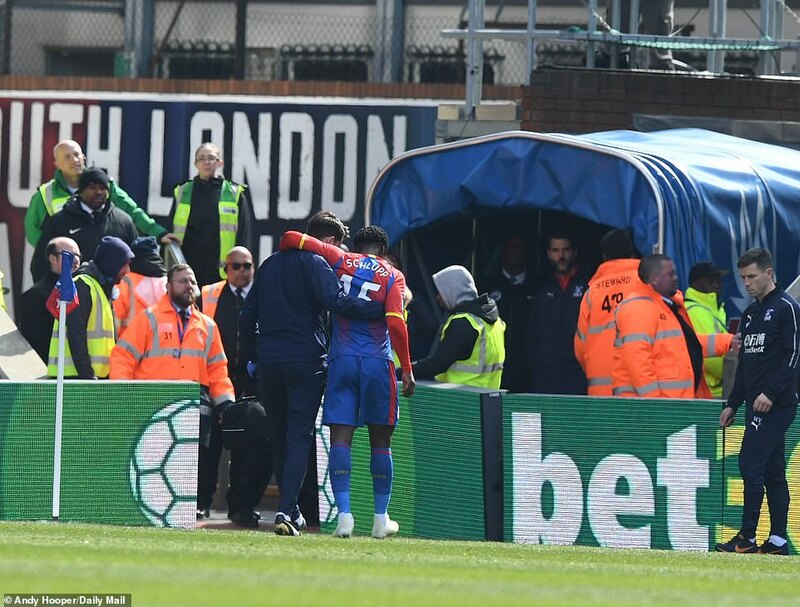 Tense title races can do that to you and Crystal Palace is hardly the sort of place you want to go when nothing other than victory is good enough. 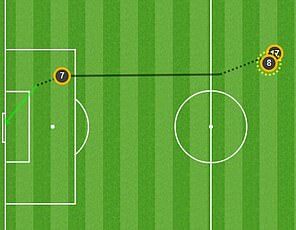 Kevin De Bruyne slipped a beautiful through ball in for Raheem Sterling to score Manchester City’s opening goal. CLICK HERE to see more from Sportsmail’s brilliant MATCH ZONE feature. 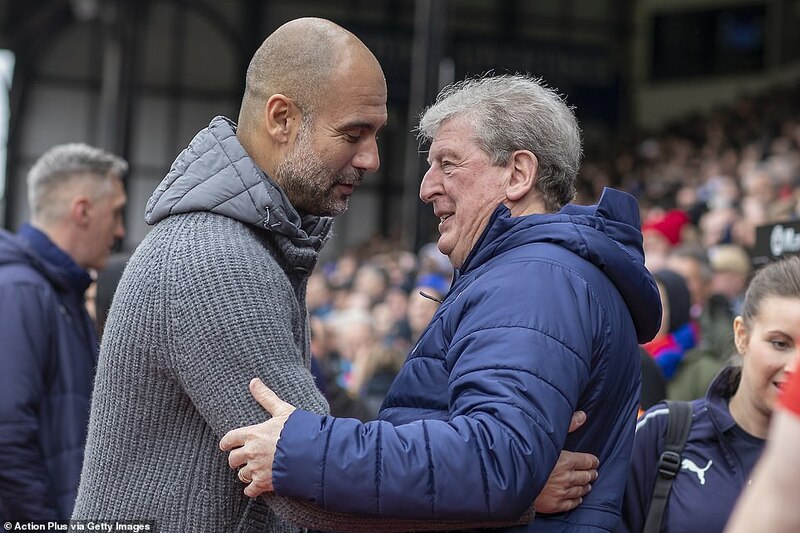 Having watched Pep Guardiola’s side dominate for 82 minutes at Selhurst Park today, perhaps they needn’t have been so jittery. 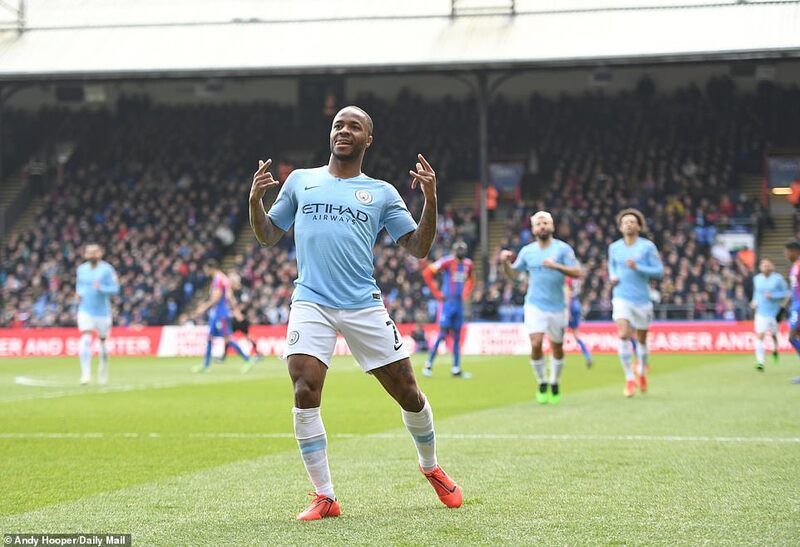 Raheem Sterling, who else, had put the champions ahead with two excellently taken goals either side of half time. 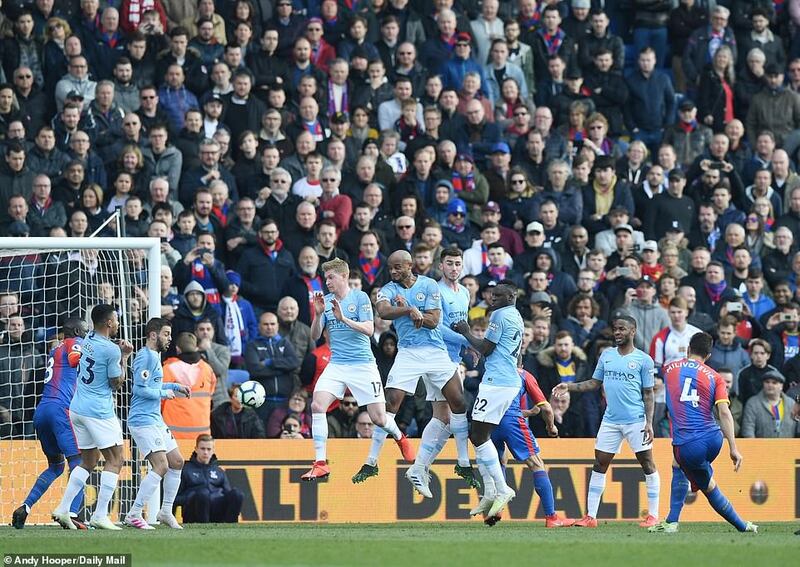 But then pandemonium ensued courtesy of Luka Milivojevic’s well struck free-kick as Palace set-up a nail-biting finale. Guardiola’s men got over the line, though. 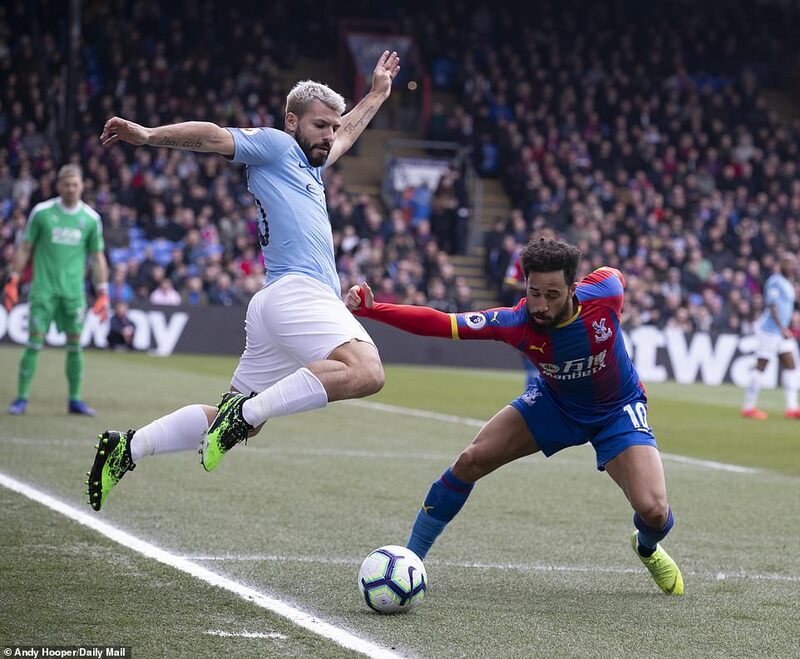 At this point in the season that’s all that matters – Gabriel Jesus coming off the bench to add a third as Palace threw caution to the wind in search of what may have been the seminal moment in this season’s intriguing title race against Liverpool. 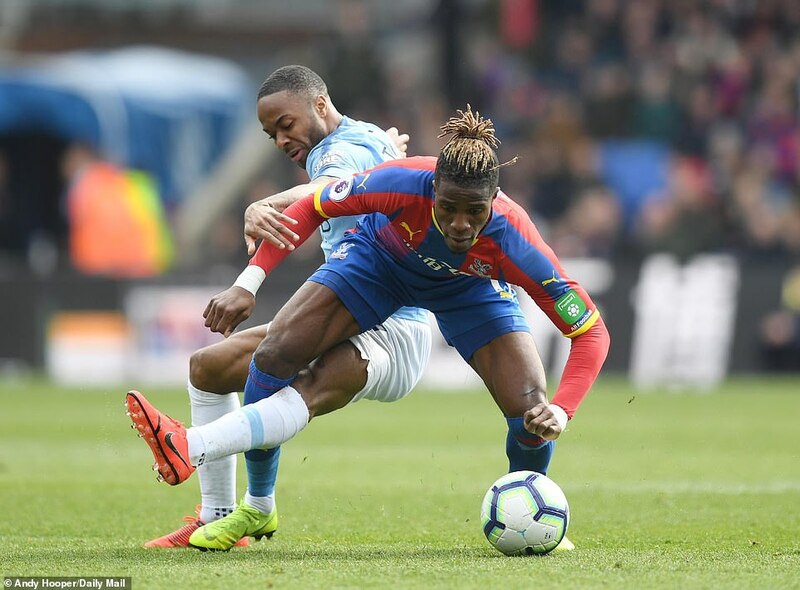 Roy Hodgson’s task from this point is to ensure Palace minds don’t drift after reaching that all-important 40 point mark with last weekend’s win at Newcastle. Not that lulled Guardiola into a false sense of security. 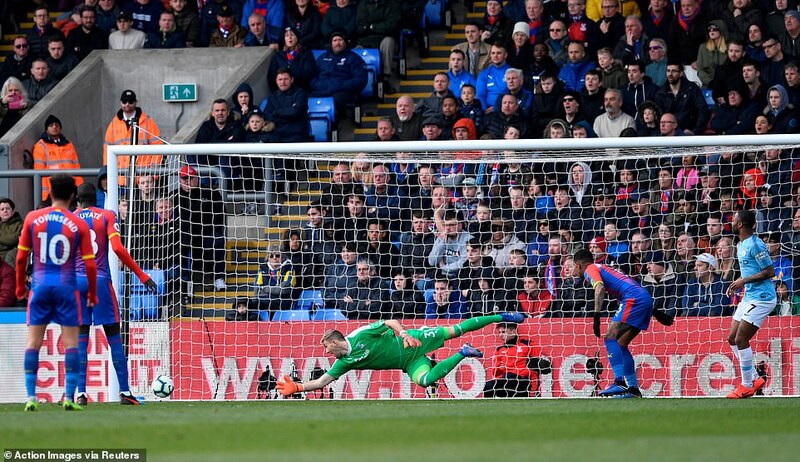 Palace inflicted one of City’s four league defeats earlier in the season. But more than anything else the magnitude of what was riding on this 90 minutes would surely have served to eliminate any complacency. And credit to Guardiola’s team, they set about putting Palace to the sword in quickfire fashion. 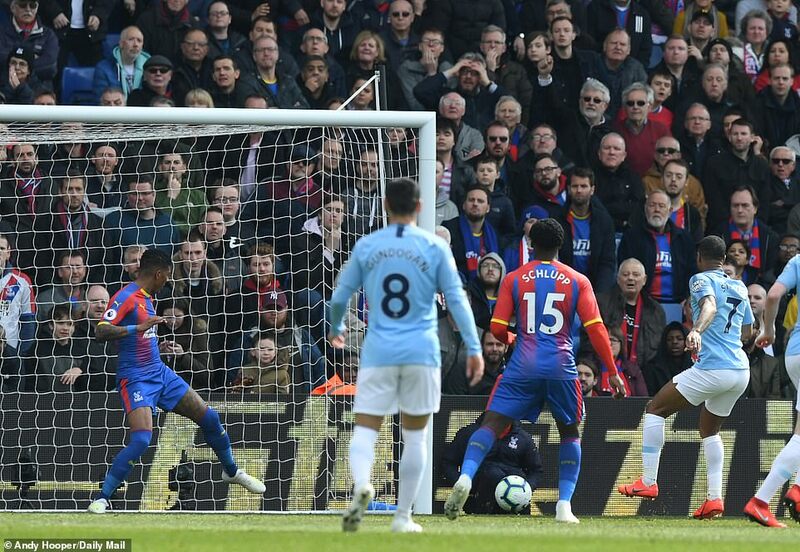 Sterling should have plundered City ahead in the 10th minute, but somehow fired wide from six yards with an empty goal to aim at following David Silva’s mesmeric work down Palace’s right side. It’s no exaggeration to say it was harder to miss. Perhaps in previous seasons we wouldn’t have been so dumbfounded. But not this season. Not this Sterling. So it was hardly surprising that five minutes later the England international was making amends. 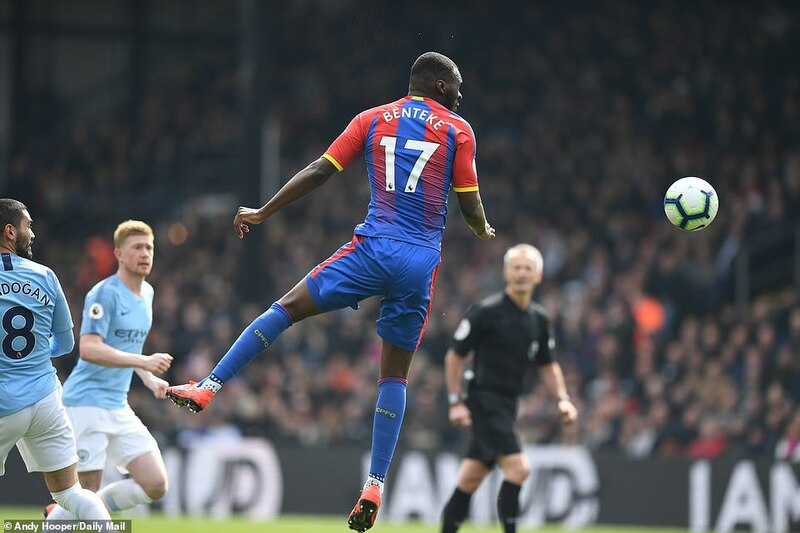 Kevin De Bruyne’s pass ruthlessly ripped through Palace’s rearguard. City were in front without barely breaking sweat. Those fears of Palace taking their foot of the gas were transitioning into reality. Surely the only question now was how many City would win by. 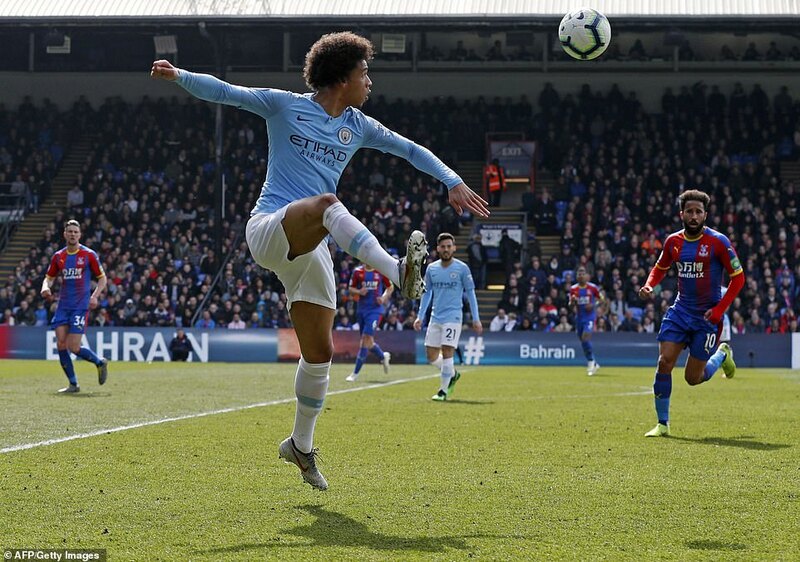 Leroy Sane forced Guaita into a smart near post save after bamboozling three Palace defenders down the left. Yet the precarious nature of 1-0 leads often lead to anxiety. 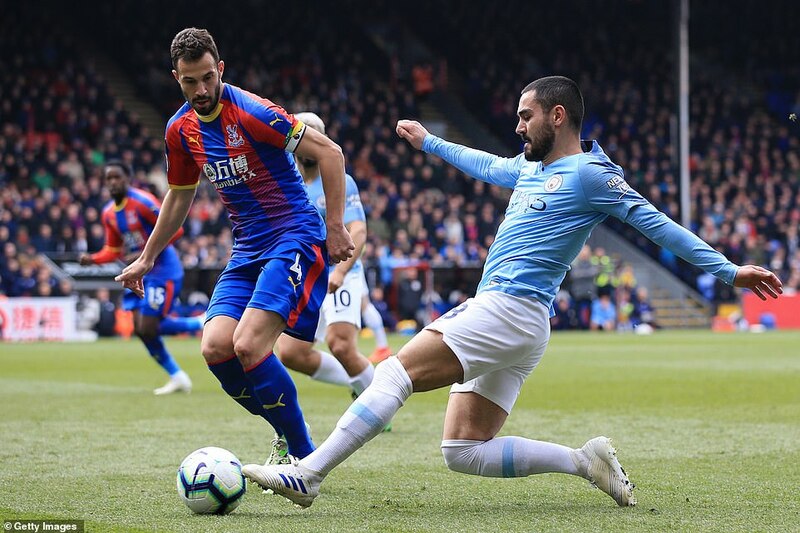 Indeed, had Ilkay Gundogan not produced a last-ditch challenge to deny Cheikhou Kouyate, who was on as an early substitute following an injury to Jeffrey Schlupp, then Palace would have levelled in the 31st minute. Likewise, had Ederson’s handling not been on point then Wilfried Zaha would have been celebrating an equaliser moments later. Guaita stopped De Bruyne’s close range effort in the 45th minute as City ended the half in the ascendancy. 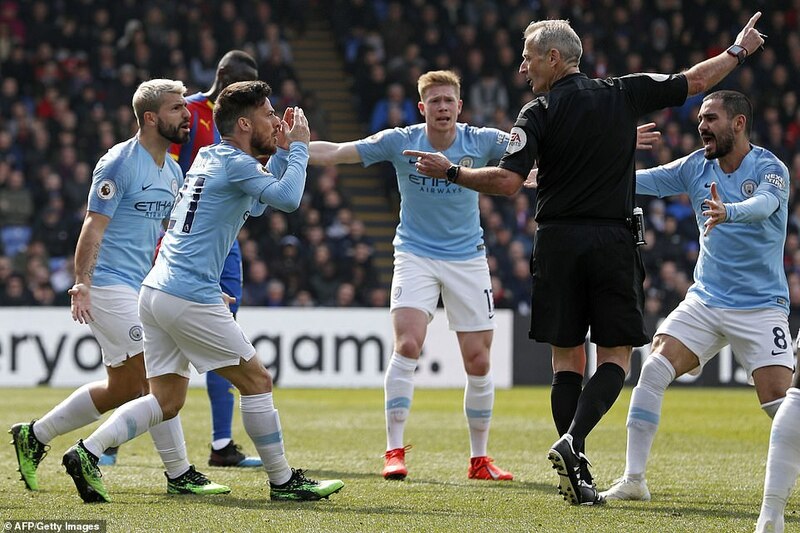 But for all their dominance – and it was considerable with 78 percent possession in the first half – those on Merseyside were still clinging onto hope of a title race defining shock. City picked up where they left off after the break – Silva’s improvised effort from De Bruyne’s low cross forcing Guaita into another save. Guardiola’s men had hardly shifted out of second gear, yet their dominance was unquestionable. But the home side hardly appeared to be busting a gut to ask questions of a City defence that would surely be nervous as the minutes ticked away. And eventually, the second arrived. 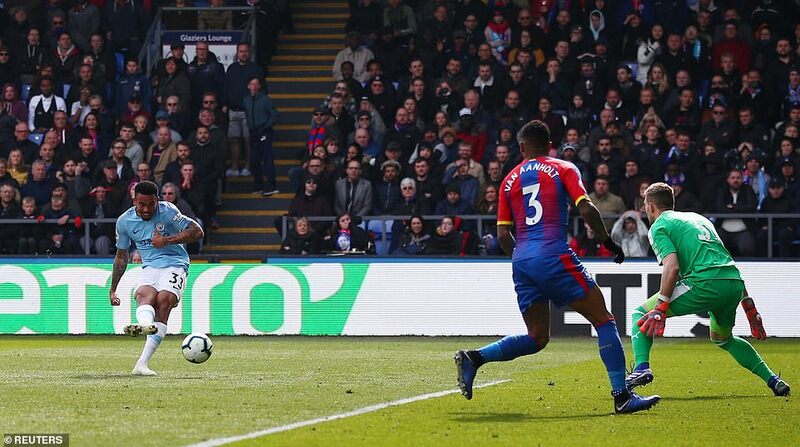 Predictably it was Sterling, with his 27th goal in all competitions this season, whose first time finish in the 63rd minute from Sane’s pass doubled City’s advantage. Guardiola’s been nodding away at Sterling’s brilliance all season. But those approving nods turned to worried shakes as Palace threw the cats amongst the pigeons in the 82nd minute. And the Serbian set-up a chaotic finish with an excellent low shot that beat Ederson to give Palace – and Liverpool – hope. 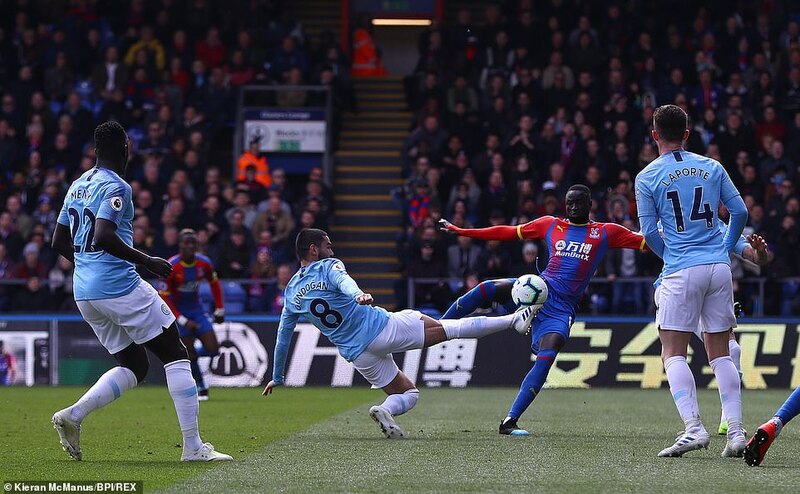 But in the final minute, as Palace threw the kitchen sink, Jesus settled those late anxieties by firing past Guaita after being set up by De Bruyne.